Brilliant New Jazz from Peckham’s finest. 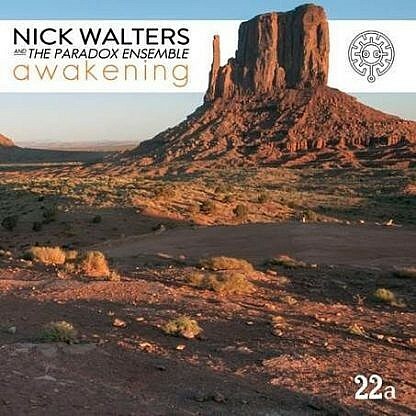 Nick Walters is Trumpeter with Ruby Rushton and he is joined by Ed Cawthorne (Tenderlonius) on Flute and Tenor Sax and a multitude of musicians for these four great tracks. The opener ‘34268’ has an understated laid back Latin- esq vibe as it glides through 8 sublime minutes. ‘Dear Old Thing’ has a funky backdrop topped by some great playing. ‘Brahman’ is a 10 minute Spiritual jazz epic with very funky rhythms that builds to a crescendo. ‘Zeno’ is more ambient in its initial approach that then expands but as on the rest of the album, the playing is of the highest standard. Like the Maisha album just before Christmas, this album displays a level of sophistication that you would not have previously associated with British Jazz. Great album.